Originally Published in Real Clear Energy by Adam Brandon on 10/3/18. Unfortunately, when it comes to electricity, among the most important resources for American families, we have operated under a monopoly structure that has stifled innovation for years. Public utility companies, with basically no competition to speak of, charge exorbitant prices that would be unacceptable on an open market where price competition would rein them in. This leaves families with the choice between paying these higher prices or be forced to simply not power their home. According to the Bureau of Labor Statistics (BLS), the electric bill accounts for nearly 10 percent of housing expenditures for homeowners and is the most expensive utility cost for American families. The study also found that housing expenditures are rapidly rising and families are spending less on other needs, such as food, because of it. This is clearly unacceptable. There is actually a sad irony in all of this, as the beginning of the electricity market was defined by fierce competition between Thomas Edison’s low voltage direct currents and Nikola Tesla’s high voltage alternating currents. After impassioned cases being made to the public over years, the efficiency, and lower costs of Tesla’s approach won the day. Today, consumers have no such options. That does not have to be the case for long, however. The technology now exists for homeowners to produce their own electricity, usually deploying solar panels. In an open market, if they produced more energy than needed, that surplus could be sold back into the electrical grid, thereby allowing individual families to become small power producers. The utilities shudder at this thought, of course, because it would disrupt the anti-competitive business model on which they have thrived for years at the expense of everyday Americans. In Arizona, where this idea is gaining traction, the spokesman for Arizona’s largest electric utility said allowing the selling of electricity back into the grid “would probably cause a business issue down the line” for the company. These utilities are not even transparent about their fear of competition. Traditionally, the issue of home-grown energy production has been seen as solely a left-wing initiative, because of the solar industry’s connection with environmentalist groups. There are, however, plenty of good reasons why conservatives across the country should also get on board with this innovative approach. Conservatives champion independence and empowering people to provide for themselves. This home electricity production plan would do just that. It would ensure that the power produced by Americans, at their own homes, could be used for maximum efficiency, and reduce their reliance on public utilities. This efficiency and on-site resource generation represent hallmarks of the conservative creed. As with anything else, if you produce it, you should be able to use it when you need it. As advocates of the virtue of the free market, the competition that will be spurred by allowing homegrown electricity production (and sale) should excite any and all conservatives. This will generate lower prices, and new innovation that has been desperately needed in this sector of the economy. There are endless possibilities for ways to make life easier for American families instead of more expensive. 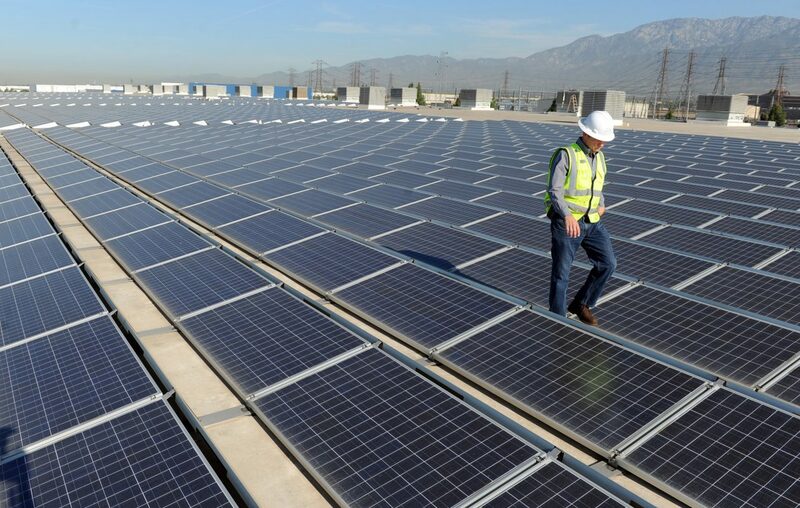 In fact, one of the most ardent advocates of more competition and alternative solar energy is Barry Goldwater Jr. Talking about this opportunity, he said: “Choice means competition. Competition drives prices down and the quality up. The utilities are monopolies. They’re not used to competition. That’s what rooftop solar represents to them.” Open, unsubsidized competition is a cause conservatives should, get strongly behind. We have seen monumental advancements across all sectors of the economy because of innovation and investment driven by competition. This is especially true when it comes to the development of new technology. Imagine what could be possible if we introduce competition in the way that we power our homes. It is long past time that we do just that, no matter what the monopoly utilities think about it.